If you’ve driven down 5th Street lately, you’ve probably noticed a different scene on the corner of 5th & Nueces compared to this time last year. The block is now home to IBC Bank Plaza, a new 13-story, 194,794 square foot, class “A” building. The facility is the new headquarters for IBC Bank-Austin, whose space encompasses 27,000 square feet, including a bank lobby and drive-thru on the ground level. The building also includes retail spaces, a parking garage, and additional office space. It offers multiple balconies overlooking Republic Park, with Capitol views from the upper floors. Developed by Endeavor Real Estate Group and designed by architectural firm HKS, the building is designed to meet LEED Silver standards. Core and shell construction was performed by JE Dunn Construction, and Harvey-Cleary Builders was the general contractor for several of the office tenant finishout spaces, IBC Bank plaza and lobby. 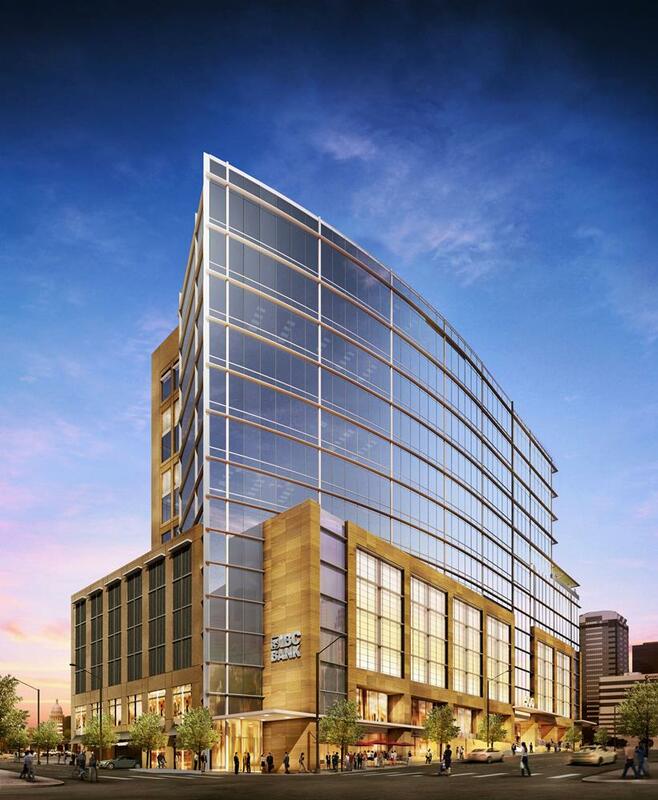 With retail space to include buzzed about and new-to-Austin restaurants Fixe and Wu Chow, this new facility is sure to become a downtown Austin fixture. Congratulations to the IBC Bank Plaza team! Early Bird Pricing Ends Wednesday, November 19th! This book with teach you how to consistently tap into an innate ability that dramatically improves both your results and your relationships. 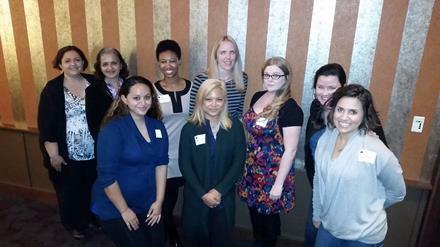 Welcome New SMPS Austin Members! This group gathered for the New Member Breakfast at CRAVE on November 12th! Thanks to Membership Director Marisa Jarmon for organizing a great event honoring our latest membership additions. Austin Industries is one of the nation’s largest, most diversified U.S.-based construction companies. With more than 6,500 employee-owners, Austin Industries provides nearly every type of civil, commercial and industrial construction services through the expertise of our operating companies. What do you like to do in your free time? Hobbies? I am an avid reader and enjoy visiting wineries and going on hikes. What prompted you to join SMPS Austin? A desire to learn and network more in the marketing world. Kristy Nice has been promoted to Marketing Manager for STG Design. Congrats Kristy! Christin Menendez is the Marketing Coordinator at Alliance Transportation Group Inc. Congrats Christin!